Here's a creepy bit of info. 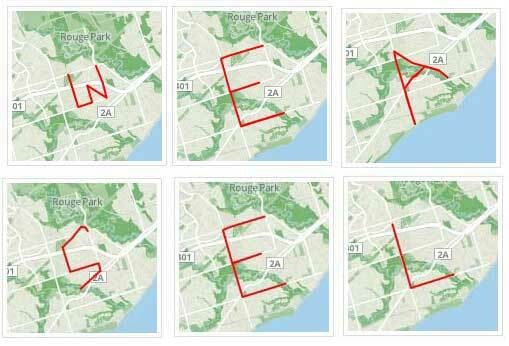 For me to write WEASEL in the streets around Highland Creek on my bike, I need to ride exactly 66.6km. Oooh... spooky!